Porsche is designing almost everything else these days, so why not add a gorgeous GPS device to the portfolio? 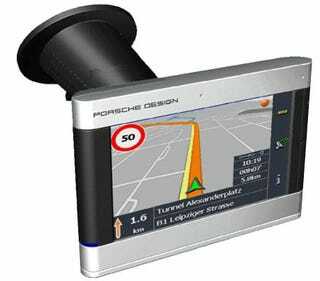 The Porsche designers have teamed up with software makers Navigon and put together the P9611, a device that would be at home inside any exotic automobile. It has a 480x272 screen and it's running Navigon Mobile Navigator 6 software on an Intel XScale 520MHz processor. From what we can gather from the rough translation, the device will cost around 749, or around $955 and will be shipping in October. So you'll pay dearly for such swank design. But just look at it. Heck, that logo alone is probably worth a couple of hundred bucks.